Alexandria, VA. — Feminists for Life of America remembers the many contributions of Eunice Kennedy Shriver whom FFL honored among Remarkable Pro-Life Women® in 1998. Shriver died the morning of Tuesday, August 11, 2009, at the age of 88, surrounded by her family. Foster remembers meeting with Sargent and Eunice Kennedy Shriver, together with then-intern coordinator Elise Ehrhard, when Feminists for Life opened the Washington office. “We were taking on too many things, especially for an office with one staff member. They encouraged us to do one thing and do it well, as they had done, serving the mentally challenged by founding the Special Olympics.” Foster and the FFL Board took the Shrivers’ strategic and thoughtful guidance to heart, and the College Outreach Program soon became FFL’s flagship program. 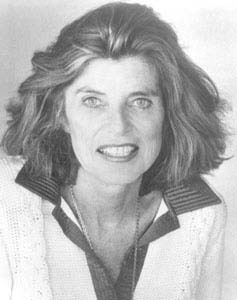 Eunice Kennedy Shriver, a lifelong pro-life Democrat, was the sister of President John F. Kennedy, Senator Robert Kennedy, and Senator Edward Kennedy. Her husband, who survives her, was former U.S. Ambassador to France and Democratic Vice Presidential nominee Sargent Shriver. They have five children (Robert, California First Lady Maria, Timothy, Mark, and Anthony) and nineteen grandchildren. The board and staff of Feminists for Life extends their heartfelt condolences to the family and friends of Eunice Kennedy Shriver. Her legacy will live on in our work and especially in the work of Special Olympics. The text from the original article honoring her follows. WHEN EUNICE KENNEDY SHRIVER was awarded the Presidential Medal of Honor in 1984, then-President Ronald Reagan declared, “With enormous conviction and unrelenting effort, Eunice Kennedy Shriver has labored on behalf of America’s least powerful, those with mental retardation. Her decency and goodness have touched the lives of many.” Shriver, a longtime supporter of Feminists for Life of America, has demonstrated a lifelong concern for the “least powerful.” The founder of Special Olympics International and executive vice president of the Joseph P. Kennedy Jr. Foundation, Shriver supports organizations that work on behalf of women and children, born and unborn. Under Shriver’s leadership, the National Institute for Child Health and Human Development was established in 1962, and major centers for the study of medical ethics were developed at Harvard and Georgetown Universities. When she founded Special Olympics International in 1968, 1,000 women and men with mental retardation from 26 states and Canada took part. Today, more than 1 million Special Olympics athletes participate. Shriver, recognizing the high rate of mental retardation among children born to teenage mothers, led the foundation’s efforts to develop an innovative program to address the causes of problems facing teenage women and their children. Called Community of Caring, the program focuses on “health and nutrition for the pregnant teen, preparation for childbirth, development of parental skills, and the importance of continuing in school and avoiding risk-taking behavior.” Parents and community volunteers act as a mentoring network for teenage mothers. Since its inception in 1986, more than 350 schools have adopted the Community of Caring program.